Due to the huge range of products that Roca offer, we only show a restricted range of Roca product. If you are requiring something that you cannot find on our site, please be assured we can still supply, so just give Firstclass Wetrooms a call on 01626 332210 and chat to one of our advisers who will happily assist you in finding your Roca choices. Roca UK was established in 1993 as a subsidiary of Roca Sanitario S.A. Focused on protecting the environment, Roca manufactures its products using processes that have minimal environmental impact. Roca leads by example by being a part of foundations such as the "We are Water Foundation." 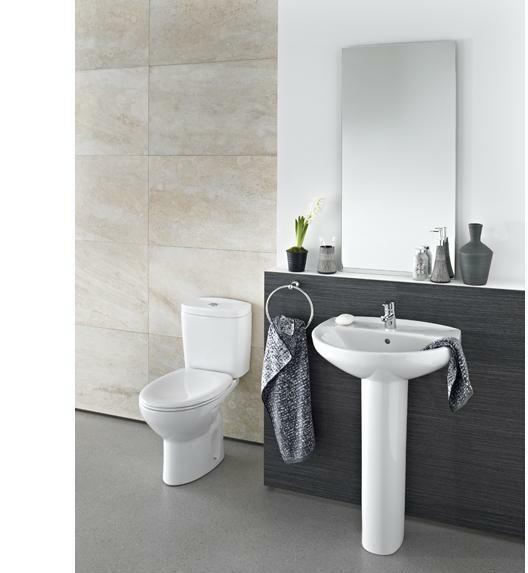 Roca bathroom products are designed with cutting-edge technology for a lasting product that looks stunning. With a motto of "solutions for today and tomorrow," it is creating products using innovative technologies that provide a modern appeal. See here for Roca Technical Help, Including Brochures and FAQs.